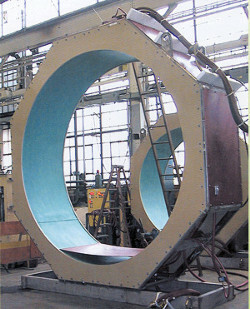 Close tolerance pipe coating with good bonding characteristics make induction heating the ideal method of pre-heating pipe and casing. 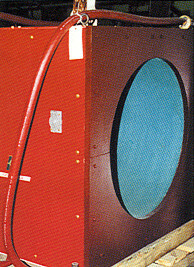 Ajax TOCCO Magnethermic supplies induction systems for heating pipe and casing to over 10 feet in diameter. 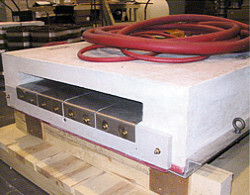 Ajax TOCCO Magnethermic wide oval cast coil for heating 6 to 12 strands of rebar prior to fusion bond epoxy coating.